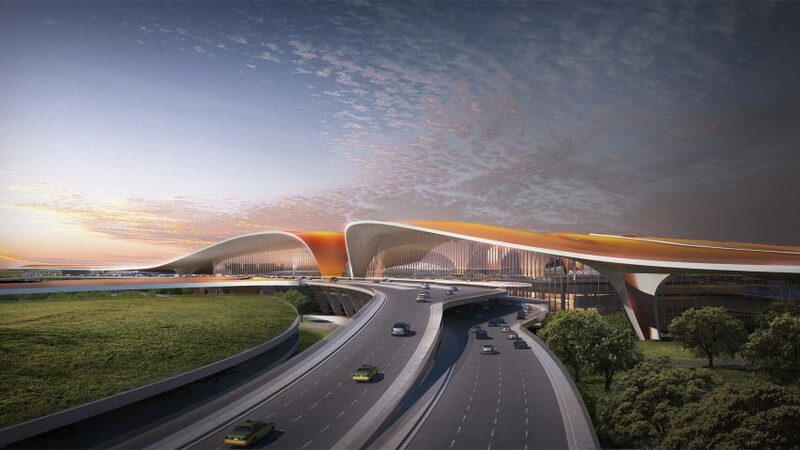 This year will see Beijing open its new airport, envisioned by the late Zaha Hadid as the largest passenger terminal in the world. Located on the opposite side of the city to Capital Airport, Beijing New Airport is expected to see 45 million passengers through its doors every year. After much anticipation, 2019 will see the opening of M+, a major new museum in Hong Kong dedicated to art, design, architecture and film. It is set to become one of the largest museums of visual culture in the world, and claims to be unique in putting Asia at the centre of design history. One of the most impressive new skyscrapers set to complete in 2019 has been described as the world's skinniest skyscraper. Under construction on the so-called Billionaire's Row in Manhattan, 11 West 57th will offer uninterrupted views of Central Park and the Manhattan skyline. BIG has an array of projects set to complete in 2019, but one of the most fun is the new panda enclosure for Copenhagen Zoo. The structure will be yin-yang shaped in plan, creating a mix of indoor and outdoor spaces that include a bamboo grove and a "misty" forest. A big colourful playground will cover the roof of this kindergarten designed by MAD for Beijing. The vast space will give children freedom to explore – something not easily found in one of the world's biggest cities. This huge project by MVRDV will see a derelict shopping centre replaced with a sunken park, featuring a lagoon, a tree-lined promenade and a beach. Remnants of the old concrete structure, including square-sectioned columns, will be left as traces of the site's history. Another BIG project, this twisted building will be a new art gallery in the Kistefos Sculpture Park near Oslo. Described by studio founder Bjarke Ingels as an "inhabitable bridge", the gallery will span a river. This tower made out of 154 staircases is a new tourist attraction in the rising Hudson Yards development on Manhattan's West Side. The honeycomb-like structure will offer visitors "new views and perspectives of each other", says designer Thomas Heatherwick. Another new addition to Manhattan's West Side, The Shed will be an expandable cultural venue, offering spaces for exhibitions, performances and events. Loosely based on Cedric Price's Fun Palace, it is being built alongside the High Line. OMA is following up the popular De Rotterdam complex with a similar project in Amsterdam – a hotel tower made of three triangular glazed boxes, arranged at different angles in a stack. With 650 rooms, it will be the biggest hotel in the Netherlands. One of the more unusual projects completing this year, this library in Queens, New York, will be punctured by large irregular windows. According to architect Steven Holl, it is designed as an "engine of public space". Snøhetta will this year unveil a series of installations in the mountains around Innsbruck, offering viewpoints and rest spaces for hikers.